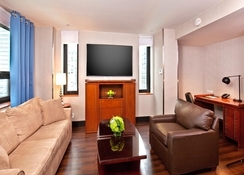 One of the delights of the Four Points by Sheraton Midtown - Times Square is its location. New York, being a huge city, staying six hundred meters from Times Square and 1km from the Empire State Building is the perfect way to save time and take advantage of the visit. The hotel offers 244 guestrooms equipped with the best comforts. A large desk with an ergonomic chair await guests in case they travel for business and need a space to work. Throughout the hotel you can enjoy wireless internet. 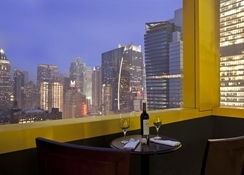 In the four suites of the Four Points by Sheraton Midtown - Times Square you can enjoy views of the city and a King size bed. In these premium rooms you can connect mobile devices to a private Bluetooth speaker and enjoy music of your preference. Rooms have complimentary bottled water and coffeemakers. The hotel has a full gym to avoid losing training days. It also has an excellent restaurant "Gotham Bistro." You can also have a drink with stunning views of the city at the rooftop bar. If you are interested in local beers, the "Four Points Best Brews" program organises seasonal events with beer as the main theme. 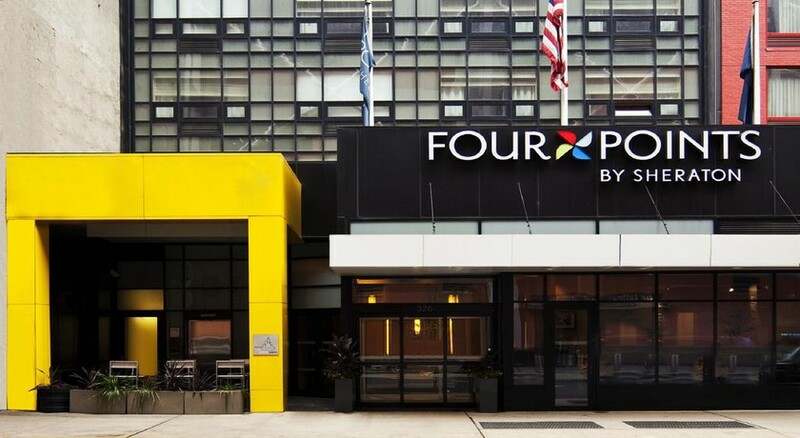 The Four Points by Sheraton Midtown - Times Square is 14.8km from LaGuardia Airport and 24.5km from Newark Airport. Times Square itself can be reached in less than ten minutes. If you want to enjoy stunning views of New York, the Empire State Building is 1.5km, as well as Broadway, with its neon lights. All rooms at the Four Points by Sheraton Midtown - Times Square are decorated in light brown tones to encourage guest relaxation and a sense of comfort. In all the rooms you can regulate the temperature thanks to the air conditioning and connect to the internet through your wireless connection. Complimentary water and coffee is offered. In the hotel you can eat in the restaurant "Gotham Bistro" or if you prefer, have a drink in the rooftop bar and enjoy the views. The program "Four Points Best Brews" will help you get to know the local beers and find the one that most suits their tastes. 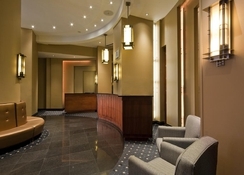 The Four Points by Sheraton Midtown - Times Square has a fully equipped gym. The hotel is close to most major attractions in the city like the Empire State Building, Grand Central Station, Museum of Modern Art and many more.